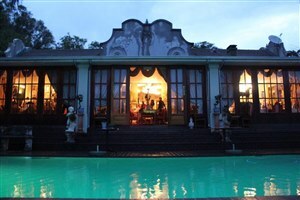 This Five Star Country House is situated on 25 hectares of English country Gardens in the heart of historic Muldersdrift, near the Cradle of Humankind World Heritage Site. Offering 10 luxurious rooms and suites, Toadbury Hall is a perfect romantic getaway in the country, as well as a comfortable stay for business travellers. 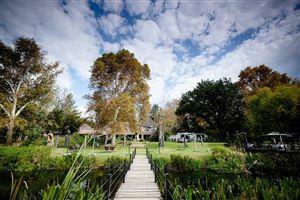 Established in 1997, Toadbury Hall Country Hotel in Muldersdrift is a favourite of local and international guests alike for weddings, picnics, conferences and festivals. 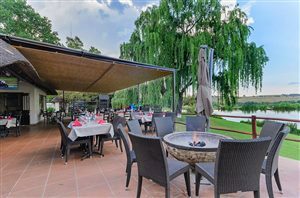 This Five Star Country Hotel is well known for its outstanding cuisine, high standards and quality of presentation, bringing a new twist to classic culinary dishes utilising fresh, local ingredients. Situated on 25 hectares of well-established English country style Gardens, Toadbury Hall offers two main function venues and caters for 10 to 160 guests. 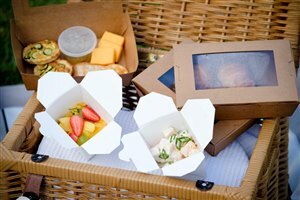 Catering options range from the casual to the formal; including plated menus, buffet options or gourmet picnics in the Gardens. Menus for weddings, conferences and private functions can be customised by selecting plated combinations from a range of delectable dishes. A three course plated menu turns into a chic four course affair when a complimentary sorbet is offered to your guests. Buffet options are also available and can often be the social centre of your festive gathering. The Executive Chef will be more than happy to assist you with any special dietary requirements and menu selections. All rates include breakfast for 2 people. 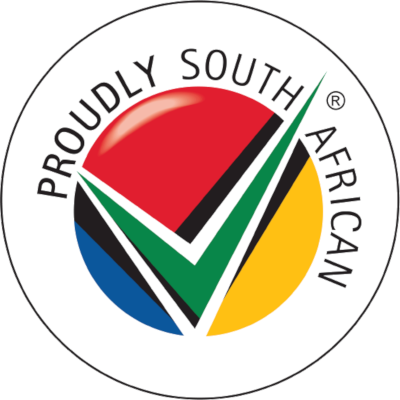 Enquire about special rate for children under 12 sharing a room with their parents. Toadbury Hall offers 5 luxurious suites, all beautifully decorated in either olde English style or French Country style. All suites offer a queen bed, with the exception of the Presidential Suite, which offers a king bed and 2 single beds. All suites have a bath and shower, air conditioning, TV, minibar and private outdoor sitting area.